At a time when there is more job mobility in the market than ever before, fostering a sense of loyalty and engagement at your company is incredibly important. Multiple stats show that employee engagement is at an all-time low, with only approximately 30% of workers in the U.S. reporting a positive and engaging experience at their jobs. So what can we do about the other 70% to improve their workplace experience and make their job into something that they can feel proud of? The answer is Employee Engagement/Experience Programs! These types of programs can show huge a return on investment, with higher levels of employee happiness, morale, teamwork, and overall job satisfaction being reported. When they are positively engaged with their job, employees are far more productive in the workplace and far less likely to resign and look for a new job elsewhere. If you want to retain your workforce, employee engagement isn’t just a good idea, it’s a necessity! 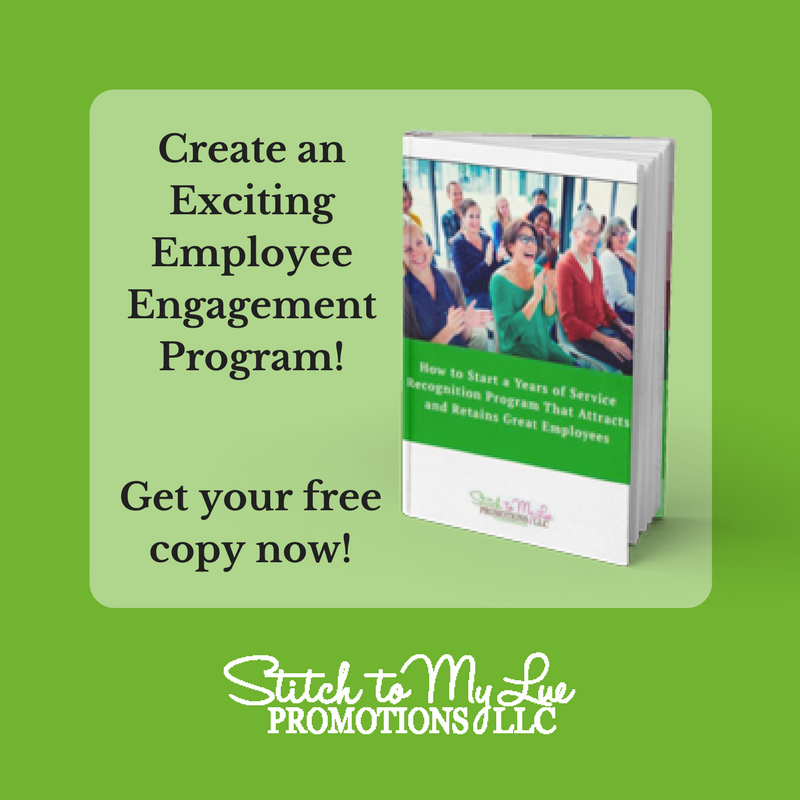 Here at Stitch to My Lue, we work with your Human Resources, Marketing, and Operation teams to create employee engagement/experience programs that will compliment your company’s culture and will help build brand and value awareness in your workforce. These positive changes can make a huge difference in just about every aspect of a company. Putting yourself into a new environment can be scary, especially when it is your first day at a new job. No matter how confident and put together we seem to be on the outside, inside there is always that little voice that says, “What if I don’t fit in? What if I mess up on my first day? What if…?” There are so many things that a company can do for their new employees to help silence that little voice and give them the best first day at work possible, getting their employee experience at the company off on the right foot. One of these things is to create a New Employee Welcome Package! This could be as simple as giving them a small gift to welcome them to the job, like a polo shirt. 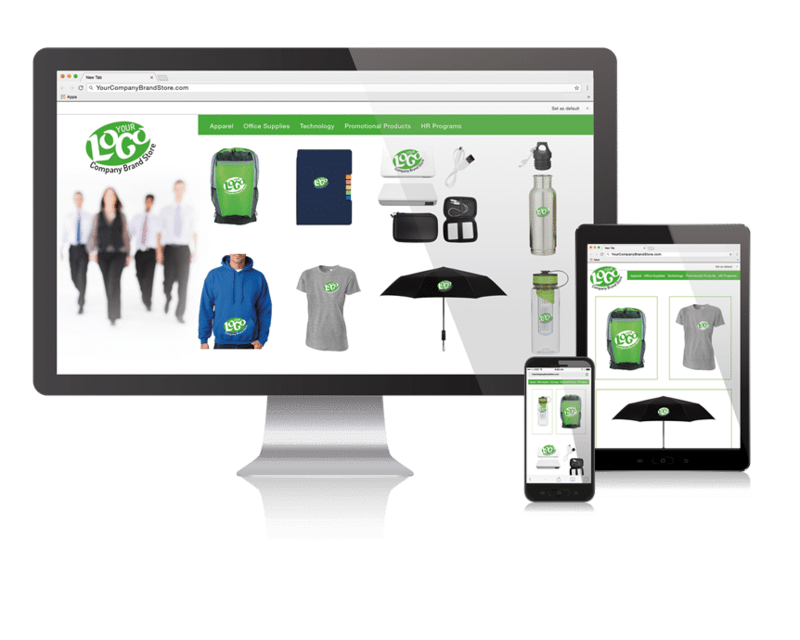 Or you could go all out with an Employee Onboarding Kit, full of branded, useful items like a vacuum insulated tumbler, a mobile charger, a smart phone wallet, and more. Have you ever forgotten an important date or anniversary to your partner? Ignoring all of the sitcom-type antics that can happen (“Oh my Gosh, where am I going to find an anniversary present at 11PM on a Sunday!”), there can be a palpable sense of disappointment in the other person, a sense that they were let down. Anniversaries and milestones are important to us, even if we downplay the impact they can make on our overall happiness level. This is also true for your employees. Even if they don’t expect any kind of recognition for, let’s say, five years of hard work, getting that recognition can be an incredible experience. It isn’t just a matter of celebrating those five years of loyal service, it also sets the tone for the next five years, starting them off right. When you want to give your employees an anniversary present that will stick with them, we can offer cost-effective solutions such as awards, plaques, or even than old anniversary standby, candy! It’s all about communicating to your employees that their individual contribution to your company is both important and valued. Employee wellness is something that every company should pay attention to. When health slips, so does everything else. Productivity goes down, focus plummets… I mean, have you ever had to write a report while you were sick with a cold? It can be a nightmare! That’s why supplying your employees with useful tools and products designed to improve their health can pay dividend when it comes to their overall daily engagement level. Just having a stress relieving toy at their desk to help them calm down midday makes a huge difference in their productivity level. Keeping yourself healthy through exercise is always easier when you have the right tools, like a double layer yoga mat or a “use-anywhere” Stretch-It Exercise Band. And if you want your employees at peak alertness, they need to get a good night’s sleep, which you can help them with by giving them a branded sleep mask! These are just a few of the ways that we can help your company improve your employees’ overall experience at their jobs. If you’d like to talk about developing employee engagement/experiences packages in detail, specifically tailoring them to your company and employees’ needs, please feel free to give us a call at (352) 340-4343 or email us at dlue@stitchtomylue.com. We also invite you to follow us on Facebook, Twitter, Pinterest, and YouTube for news, deals, and ideas on how to improve your employees’ overall engagement at work. If you already know exactly what you want, you can schedule a quick discovery call or a video chat with us right here!